When running a medical laboratory that analyzes and tests blood and stool samples, it is essential to be accurate. Accuracy in this analyses assists in saving the lives of people. Any kind of confusion in the Lab Report Templates can prove to be lethal. 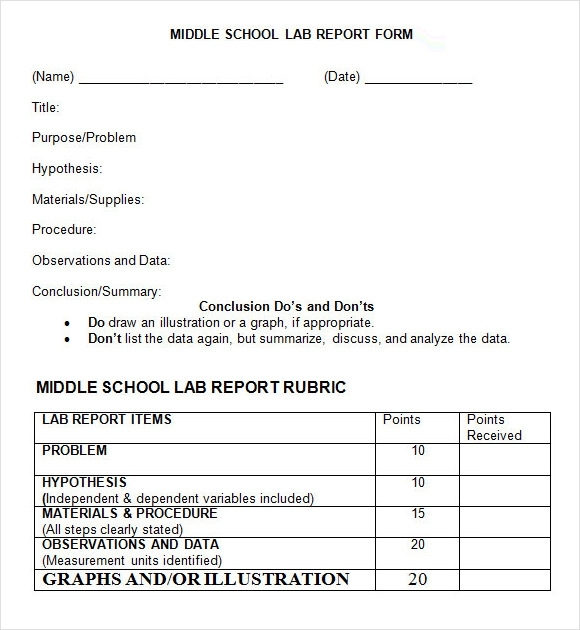 In order to prevent these mishaps we have created a variety of free lab report templates. These example templates come in a large variety of formats. Just select and download the sample that suits your requirement, fill it in with all the data, print it out; keep it ready for your client and you may actually help save his life! 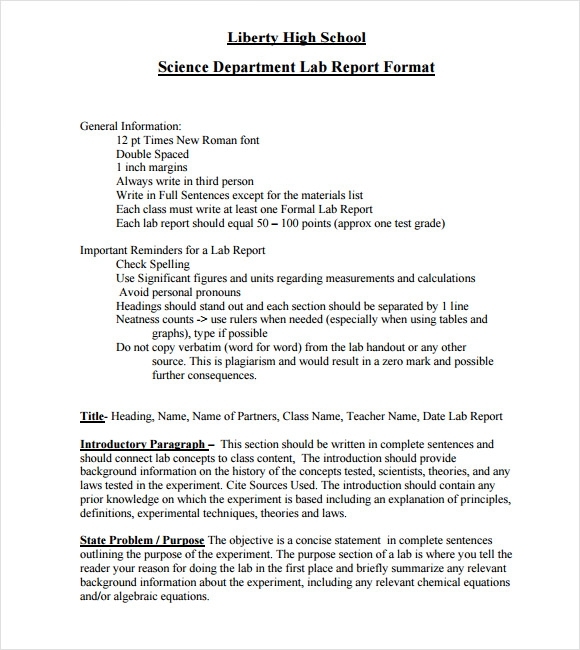 This template offers a clean and structured format for writing a lab report based on laboratory experiment. Structure of this template follows a flow of information needed in a lab report. 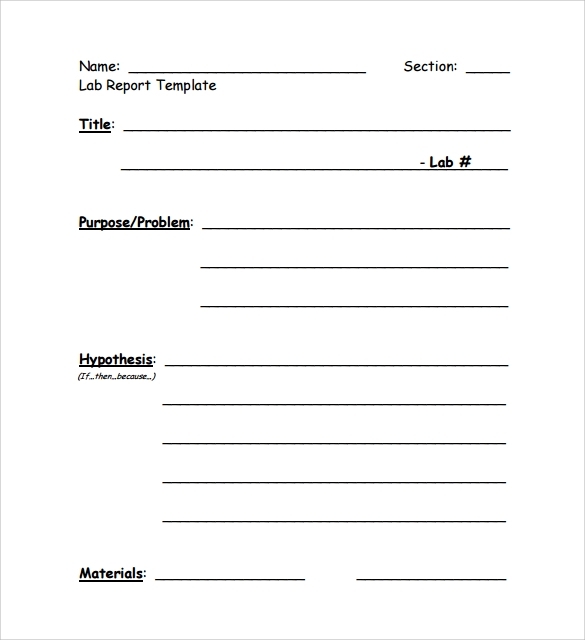 The free lab report sample template is an editable template with proper instructions and formats for coming up with a lab report. The template provides the users with everything that they need. 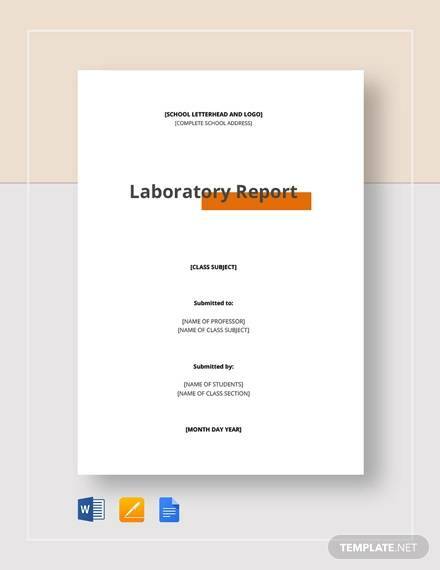 The lab report sample template features blank sections like statement of problems, hypothesis, materials, procedure, results and conclusions. The perfect lab report template helps in delivering excellent test findings and results without going through a lot of hassle. 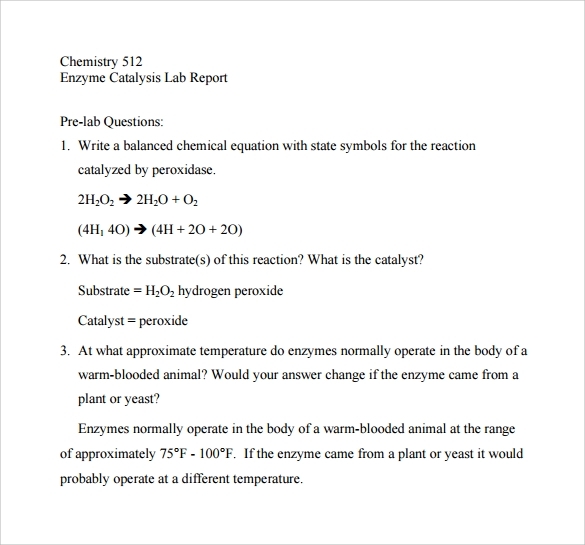 Why Do You Need Lab Report Templates? When you undertake any kind of research or conduct a certain scientific experiment, you will have to use lab report templates for writing up a lab report or a corresponding project. Te lab report template helps in summarizing the task objective, methods followed, results obtained and conclusions drawn from the task. 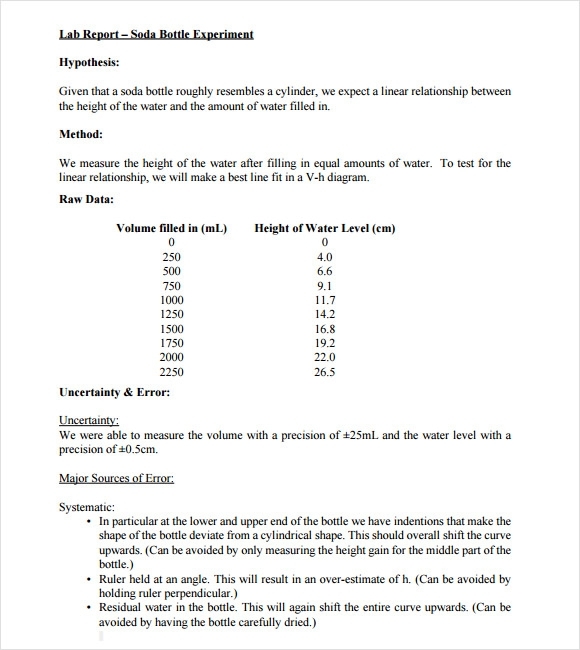 There are different varieties of lab report templates available for creating such reports. These templates feature layout guidelines for giving you the perfect guide throughout the procedure. The use of lab report templates helps in creating the best report structures including specific sections meticulously designed for mimicking the scientific procedure. These templates feature different sections like results, methods, discussions, materials and objectives. When Do You Need Lab Report Templates? 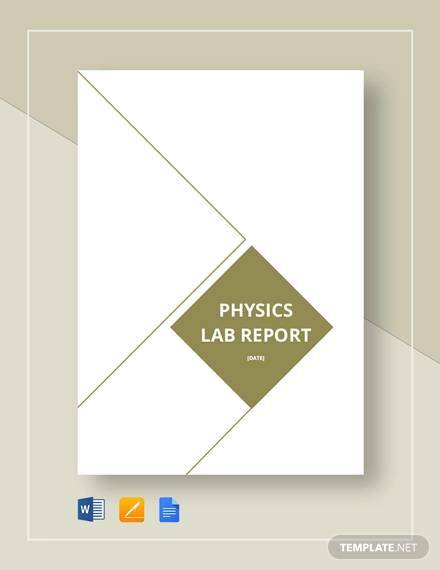 Lab reports are documents written in engineering and science fields allowing the students to fetch good marks in their study programs or courses. However, lab reports are also created for professional use. 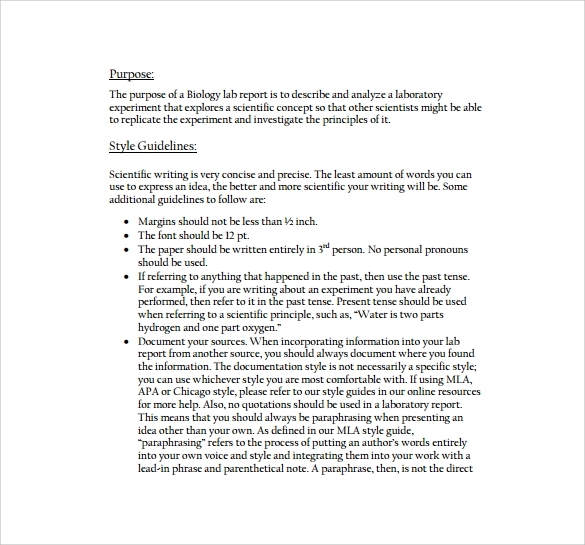 The best way to create perfect lab reports is by making the effective use of lab report templates. 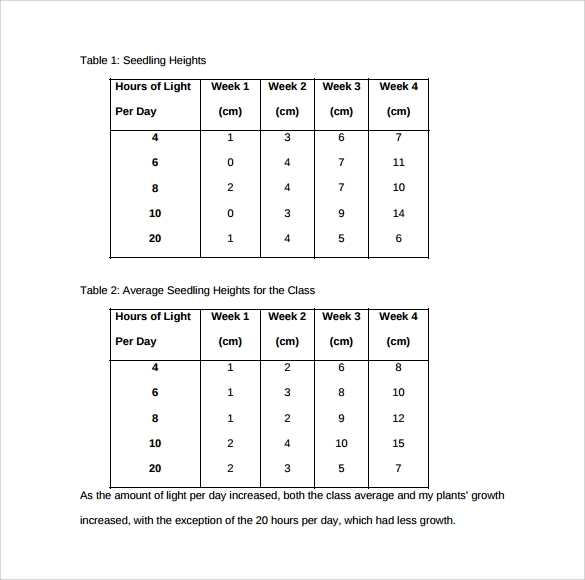 These templates help in drafting well-written, well-formatted and well-structured lab reports presenting information and data about a lab experiment or test. 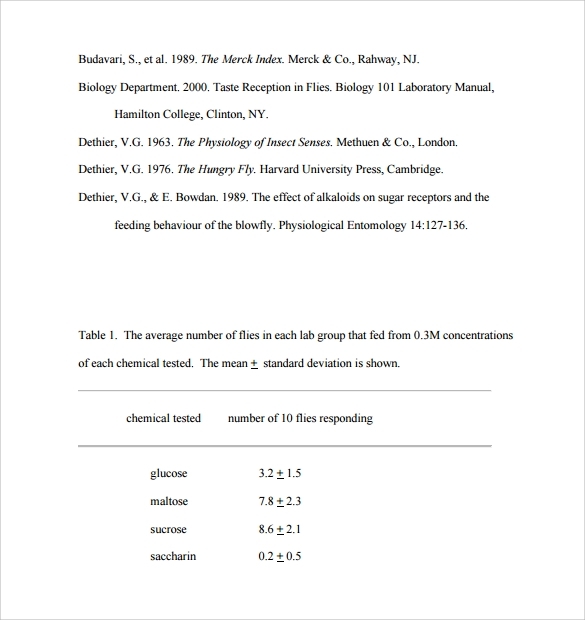 Lab report templates are generally needed for demonstrating the writer’s understanding of the ideas behind the data that is presented in the report. The stressful task of writing a lab report can be achieved with great ease and comfort by using lab report templates. These templates feature blank sections that need to be filled in while adding other necessary details.You can also see Sample Training Reports. What Are the Benefits of Lab Report Templates? One of the most important benefits that can be fetched from the use of lab report templates is that they are available in sample and formal formats for making the formulated synopsis or report of a study. They can serve as the best tools contributing to the body of the knowledge that the writers possess and they also offer functional results. 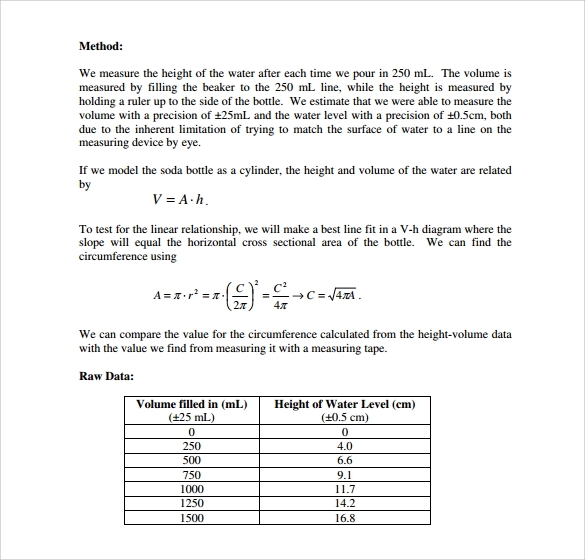 Lab report templates are of good use for all those who are into preparing lab reports. The templates allow the individuals to fill in the blank sections and make the entire lab report writing procedure an easy one. The templates need to be used as per instructions for ensuring good success. 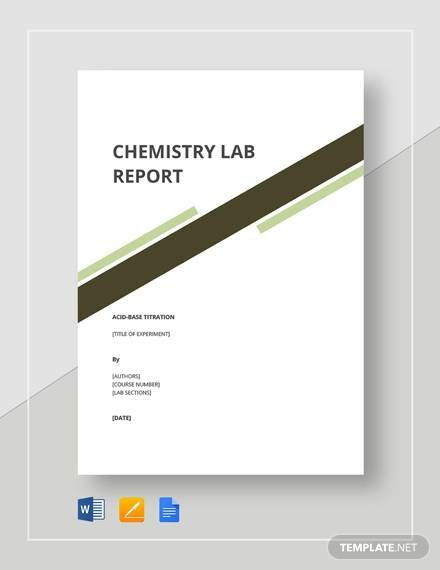 There are different varieties of lab report templates widely available throughout the market and they can always be of good help in creating the best and the most useful lab reports.You can also see Sample Reports.